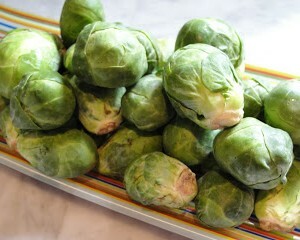 Who knew that kids could like brussels sprouts?! Add a little bacon and watch everyone in the family clean their plates. Cut the end off the brussels sprout. Now it’s time to add the chopped brussels sprouts to the pan. Toss the sprouts in the fat. If you are using bacon, return the bacon pieces into the pan and mix the crispy bacon through the sprouts. Remove from the heat and serve.